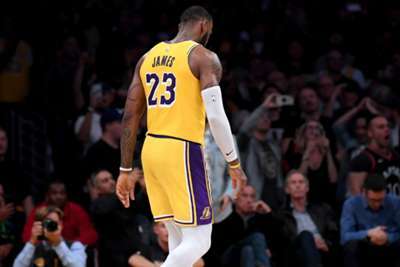 LeBron James' heroics were not enough to prevent the Los Angeles Lakers from suffering their third consecutive defeat to start the NBA season, while the Orlando Magic upstaged the Boston Celtics. James nailed a dramatic late three-pointer to force overtime but the Lakers still lost 143-142 to the San Antonio Spurs on Monday. Reigning NBA Coach of the Year Dwane Casey has his new team playing well in Detroit, but the Pistons will have their hands full with the talented Philadelphia 76ers. Pistons forward Blake Griffin averaged 29.5 points in Detroit's first two games, while Joel Embiid is averaging 28.3 points in the early going for Philadelphia.